I recently published an article in Studies in Philology (114, no 3: 609-640) that might be of interest to those of you interested in the intersection of popular royalism and cheap print during the Interregnum. Here’s the abstract: As a highway robber James Hind—the man with whom Charles II was thought to be hiding after his defeat in 1651 at the Battle of Worcester—was said to be unparalleled, “an absolute Artist in his profession,” as well as a courteous, Robinhoodish sort of criminal with a nimble wit, an aversion to bloodshed, and a habit of sharing his spoils with the poor. Or so he was conceived in cheap print. For James Hind became the subject of a spate of pamphlets and chapbooks after the royalist defeat at Worcester. They form a heterogeneous group, diverse in character, content, and genre, ranging from chapbook collections of short merry tales and news pamphlets to what many have termed the first criminal biography in English. For me, the Hind texts’ interest lies in what they may suggest about the nature of royalism in the wake of the establishment of the Commonwealth regime and the failure of the royalist forces at Worcester. This article argues that the forces of social control with which the royalist Hind chapbooks and pamphlets contended were not one, but two. The first and more obvious powerful force was the Commonwealth regime, but the texts are also sites of a less-apparent second tension, one between a backward-looking, essentially feudal royalism and an emergent royalism marked by the same progressive populism that fueled the revolution. 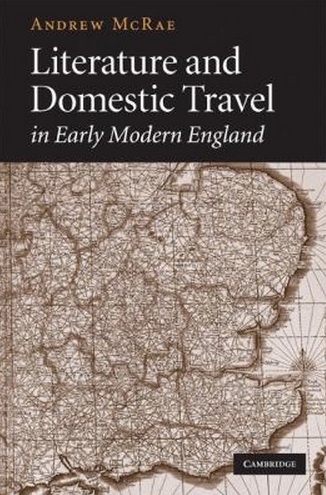 I recently had occasion to dip in and out of Andrew McRae’s new-ish Literature and Domestic Travel in Early Modern England (Cambridge U P, 2009), which investigates the meanings and significance of travel in sixteenth- and seventeenth-century England. Because I’m interested in Interregnum pamphlets about peripatetic types like highwayman James Hind and former waterman-turned-travel writer James Taylor, I’ve been looking for a monograph (247 pages) like McRae’s for a long time: a cultural analysis of popular mobility in early modern England. So in case a brief summary might be useful to others, here’s a brief run-down of McRae’s thesis. The book argues that the unfettered mobility of common folk–a source of anxiety, particularly in the sixteenth century–gradually became attached to “the definitive transformations of the era: from the shift towards capitalism, through the ongoing spatial redistribution of the population, to the political reconceptualization of passive subjects as active citizens” (7). Be assured that McRae’s prose is usually not that opaque: basically, he sees human and commercial mobility as agents of change. Underpinning McRae’s claim about early modern mobility is Henri Lefebvre’s theory of the historical transition between absolute space (“‘a product of the bonds of consanguinity, soil and language'”) and abstract space (“‘the space of the bourgeoisie and of capitalism'” (11). McRae, though, is careful not to suggest a teleological history of popular mobility–from a danger to feudalism to a boon to capitalism–insisting that the meanings of mobility remained “multifarious.” He pays this multifariousness more than lip service in his perceptive readings of a riot of texts, which range from maps and river poems to Ben Jonson’s The New Inn and Celia Fiennes’s travel writing. The book is organized in halves. The first, “Routes,” considers rivers, roads, and inns/alehouses–those natural or man-made features that made travel possible–while the second, “Travellers,” examines particular kinds of travel–the royal progress, the pleasure tour, and the commercial route. For purposes of my research, I was drawn to the chapter on roads, where McRae, citing Quaker George Fox’s Journal and Bunyan’s Heavenly Foot-man and Pilgrim’s Progress, points out that religious non-conformity–i.e., godliness–became increasingly associated with travel. I found the section on the history of royal progresses suggestive, too. There McRae contrasts Elizabeth’s state-buttressing travels through the countryside with the ignominious “progresses” of Charles I and Charles II fleeing their enemies, noting Marchamont Nedham’s observation that a monarch whose movements cannot be plotted is not a monarch at all. Sometimes books are suggestive–good tools to think with–when you need a thinking boost, and this was one of them for me. For far more complete reviews of Literature and Domestic Travel, see Linda Woodbridge’s piece in Renaissance Quarterly 63.2 (2010), Paul Slack’s in The English Historical Review 126.520 (2011), or Laura Ambrose’s in The Journal of British Studies 49.4 (2010). Just popping in to say that most of my energies these last few months went into teaching and working on my research project. Among other things, I taught a revised version of “Writing and Research,” a course for second-semester juniors at Bard who want a head start on their senior thesises. Some great projects began to unfold–investigations of cell phones in Somalia, British identities in BBC’s Sherlock, the metaphysics of Facebook, the constitution of the Weimar Republic, Mary Cassatt’s portraits of children, mandatory minimum sentences for drug crimes, the cultural significance of a beloved Indian legend in Michigan, remuneration for artists in a post-copyright future, North Korea’s “soft power” strategies, optimum pricing models for online music. Among other things, the students discovered that one of the most difficult aspects of conceiving a long research project is coming up with a good research question, which often takes time to emerge. Don’t I know it. Helping students wrestle with the same issues I’m grappling with has helped me think more clearly about the mental and rhetorical moves of dissertation writing. My dissertation investigates popular print during the Interregnum to understand more about how relationships between the humbler sort and the monarchy were imagined. I’ve been working at the macro level, forming working thesises and frameworks for each of the four chapters. And rediscovered the power of free writing to relieve the anxious clutter in my head and sort out my tangled ideas. An unusually rich summer approaches. My friend Mary and I are attending the Old Peculier Crime Writing Festival at Harrogate (a longtime fantasy), then heading to London, where I will wallow in archival research. I pinch myself every now and then. “You should check out SSRN,” I’ll tell some student researching prostitution in Hong Kong. With the right dash of nonchalance, I tell the undergraduate that working papers are scholarly articles not quite ripe for journal submission. Their authors share the research in hopes that peers in the field will point out the fatal statistical error on page 26 or say things like “You really must read Eric Hobsbaum on social banditry.” Then, voice lowered to gossip range, I aim to shock and thrill. By the time most journal articles see the light of day, I say, their research and sources could be, well, a little on the stale side. If you want freshness, I nod knowingly, try working papers. It’s a given that librarians are adept at database navigation, but with the number of digital information storehouses proliferating at an exponential rate, just finding the appropriate source to search can be a daunting task. Herewith, then, are a few tools I’ve found to be helpful in this regard. Why might Mr. Bemis’s cheat sheet be helpful for scholars of early modern British history? Through no fault of their own, sometimes your old friends just can’t deliver the information you need. I don’t know about you, but when that happens I feel like a deserted Scarlett at the end of Gone with the Wind weeping “Where shall I go? What shall I do?” into her hanky. That’s why Mr. Bemis’s brief sidebar might be helpful, if only a reminder that you needn’t weep. What you may need is a good directory of databases, the kind of resource you find in the reference section of your library, the one with all the fat, boring-looking volumes. “Some of the most useful but underused tools in a researcher’s repertoire,” says Jenny L. Presnell, in The Information-Literate Historian, “saving time as well as opening up new avenues of knowledge” (19). Besides their “dry as dust” reputation, another reason for the underuse of directories and other reference resources is format. Though reference e-books are on the rise, most works exist only in print or CD-ROM, which necessitates your physical presence in a library, seems like an awful expenditure of time, and means that you can’t wear your pajamas all day. I’m awfully partial to my pajamas, too. But a brief acquaintance with a directory of databases might just save you from walking away from your article, research paper, thesis, or dissertation, muttering, “Frankly, I don’t give a damn.” Plus, if you’re a know-it-all, you’ll have picked up a few other names to drop. *E.g., Rockpile, John William’s Stoner, and Wallace Beery. I’m afraid I’m those other tiresome people, too. **A book recommendation for those who admire or aspire to be reference librarians: This Book Is Overdue! How Librarians and Cyrarians Can Save Us All by Marilyn Johnson. I thank Irina Rogova, historian and aspiring librarian and historian, for giving it to me. 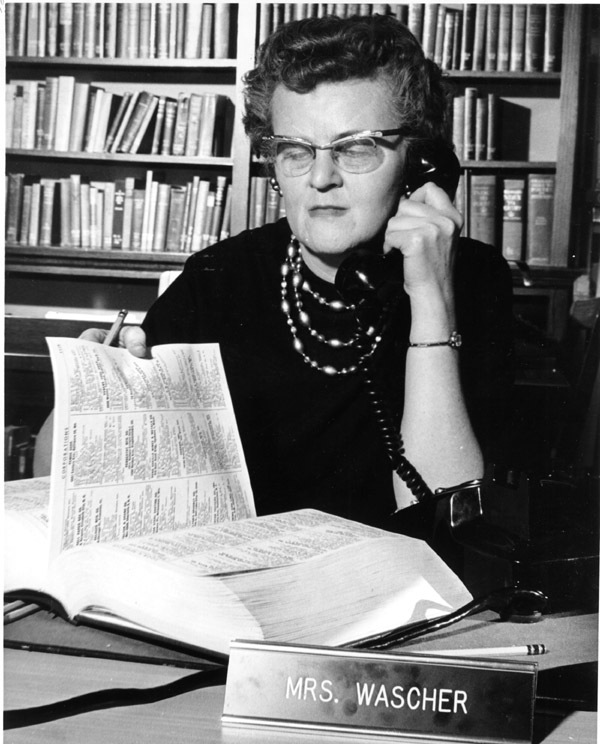 Presnell, Jenny L. The Information-Literate Historian (New York. Oxford U P, 2012). Print. time…” thing you write in order to understand the scholarly conversation you want to join. Inevitably, it’s largely a rehashing of what other people have said about your field, which in my case is royalism during the Interregnum. (My dissertation, which investigates the shifting constructions of non-elite royalism in popular print over the course of the 1650s, owes a great deal to the twin volumes on royalism during the 1640s and 1650s edited by Jason McElligott and David L. Smith, and the fine work of Angela McShane and Lloyd Bowen.) I’m not especially proud of these fumbling paragraphs (or even still agree with them), but they helped me get started and might be useful to other students of politics and culture during the 1650s. When I wrote them, I was unaware that Kevin Sharpe had died of cancer late last year. That he died on Guy Fawkes Night seems fitting for a historian entranced by images and the Stuart dynasty. Derek Hirst observed in 1996 that the years of the British commonwealth and protectorate were “the temporal equivalent of Eeyore’s Gloomy Place,” at least as far as many historians were concerned. Anyone who wanted to map Britain’s social and cultural terrain during the republican years, he wrote, “might find it difficult to locate the decade on a highway to anywhere” (369). These days, the cultural contours of the 1650s are easier to pick out of the gloom owing to a period of unusual productivity in seventeenth-century historical scholarship coincident with the rise of post-revisionism. In the post-revisionist view, revisionist historians, in rejecting the grand narratives of Whiggery and Marxism, came dangerously close to suggesting that profound political divisions in mid-seventeenth-century Britain had little to do with its crises and tumults. Because post-revisionists inherited a deep distrust of the political agendas of teleological argument, they looked for politics elsewhere. They found it in places their colleagues in English departments had discovered nearly thirty-five years ago: the products of culture, particularly texts and images. The “cultural turn” of post-revisionists in departments of history has coincided with an unusually productive period in seventeenth-century historical scholarship. The co-mingling of literary and historical realms of knowledge and ways of seeing has inspired a number of brilliant essays and major monographs in the last few years by Kevin Sharpe, Alastair Bellany, Paul Lake, Ann Hughes, Richard Cust, Thomas Cogswell, and Steven Pincus. Their scholarship, like Sharpe’s Reading Revolutions: The Politics of Reading in Early Modern England (2000), often proudly acknowledges a debt to the work of new historicists, often Annabel Patterson, whose political preoccupations and methods of inquiry permeate the best of post-revisionism. Interdisciplinary exchanges between scholars of history and literature have grown so promiscuous that it seems nearly impossible to say whether the parent of a monograph on Milton, Barebone’s Parliament, or the chapbook trade resides in a department of history or English. Still, new -isms inevitably perpetuate old silences. The silences in post-revisionist are inherited from the earlier scholarship new historicism produced. Although new historicists had hoped to demonstrate that all cultural texts, from Paradise Lost to an inventory of fishhooks, were equally valuable sources of information about the world they inhabited, but in practice, normative aesthetic values tended to win out. And the victory of high culture in new historicism had a predictable social corollary. Using Stephen Greenblatt’s rhetorical strategies as a pattern, a great many new historicists placed a figure of powerful state authority at the center of their analyses, a presence around which the essays swirled in a kind of dread fascination with power. A strain of that fascination with the literary and ruling elite runs through post-revisionist scholarship, which continues to produce important monographs and articles on Charles I, Cromwell, Marvell, and Milton. But not all post-revisionist work is partial to elite culture. Among the most brilliant examples of post-revisionist scholarship is Peter Lake’s The Boxmaker’s Revenge (2002), an analysis of an extraordinarily peculiar feud between a London minister and a box maker that allows Lake to challenge twenty-first-century scholarly aversion to seventeenth-century radical polemic. We would know next to nothing about the political dissent of ordinary people during the civil wars and afterward were it not for the indefatigable archival work and intelligence of Marxist and left-liberal historians of the twentieth century, notably Christopher Hill’s examinations of mid-century radicals and his student David Underdown’s studies of Somerset during and after the civil wars. Hill’s brilliance seems to have stifled our ability to look for dissent in unexpected places. Non-elite political dissent in the 1650s seems to be the bailiwick of the already-radical, the province of the Leveller, Digger, Fifth Monarchist, or Quaker movements whose protests took extraordinary, non-normative form—Gerrard Winstanley’s “trespass” on St. George’s Hill in 1649, for example, or James Naylor’s donkey ride into Bristol in 1656. Most intriguing for me is Bowen’s observation that relatively humble people—like Humphrey Butler, a seller of cosmetics from Somerset—“appropriated and deployed” the “supposedly elite political culture of royalism” (56). 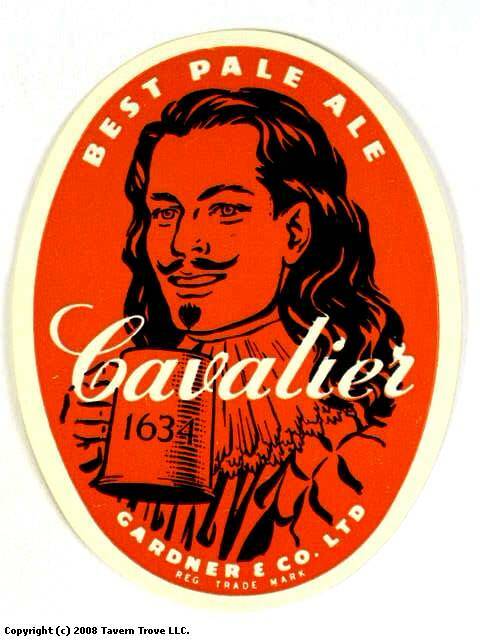 Drinking the king’s health at a gathering in early 1650, Butler enjoined “all you that are cavelears com alonge with me.” He conceives his royalist identity as allowing him freedom to issue orders to and move freely among those who outrank him. Reading in and around the works I’ve mentioned, and many others I haven’t, led to this project, which evolved from simple curiosity about the lives of relatively humble Englishmen and Englishwomen whose royalist sympathies were out of tune with the times, when opposition to the commonwealth and protectorate governments and support for the Stuart monarchy were not only not normative, but could be punishable by law. Neither historical revisionism nor post-revisionism is a discrete or coherent philosophy, so assigning historians to one camp or the other is an artificial business. However, most acknowledge that the collection of Conrad Russell’s essays in Unrevolutionary England, 1603–1642 (1990) represents the epitome of early modern revisionist history. The post-revisionist cadre is often assumed to Kevin Sharpe, Ann Hughes, Richard Cust, Thomas Cogswell, Steven Pincus, and Peter Lake. Unlike Sharpe, Patterson is untroubled by metanarratives that champion the rise of liberalism. See, for example, Nobody’s Perfect: A New Whig Interpretation of History (2002) and Early Modern Liberalism (2006). Still, I think it’s worth noting a tinge of low comedy in the stories and seventeenth-century print scholars choose to drive post-revisionist monographs and articles that place non-gentry in the center. In them echo the anecdotes that became a rhetorical tic in early new historicist work. Hirst, Derek. “Locating the 1650s in the English Seventeenth Century.” History 81.263 (1996): 359–83. Academic Search Premier. Web. 20 Jan. 2012. Sarah Werner’s DIY newsbook. I don’t know about you, but my head really hurts when I try to figure out how 17th-century printers arranged multiple newsbook pages on a single sheet of paper. No better way to understand than by assembling your own. Ms. Werner (who sometimes uses the moniker Wynken de Worde in the online world) has a marvelous blog about early modern books and culture at http://sarahwerner.net/blog/. No wonder: she’s the undergraduate program director at the Folger Shakespeare Library, an associate editor of Shakespeare Quarterly, and editor of The Collation. Anchora, a blog on early modern books and their readers. A generous and exciting site from Adam Hooks, assistant professor of English at the University of Iowa, who gives every online indication of being a fabulous teacher. Habits of Reading in Early Modern England, the website for a 1997 Folger Institute program, features an introduction by Steven Zwicker and a terrific bibliography of secondary materials, though keep in mind there’s been some terrific scholarship in the past 15 years by Adam Fox, Adam Smyth, and others. And for amusement, a glimpse into the nature of IT support in the middle ages. You can find a version with English subtitles, but it’s funnier in Norwegian. A gathering of links to public records for those researching the history of the Commonwealth and Protectorate. Cardiff Records, Volume 5, “Two Local Notables”, biographies of Christopher Love (convicted of treason and beheaded in 1651) and Protestant martyr Rawlins White (burned to death 1555).